Work together to launch balls or water balloons. Designed for teams of 3 to 5 players. See who can hit the target or launch the farthest! Launch multiple water balloons simultaneously. Rain water missiles down on the target! 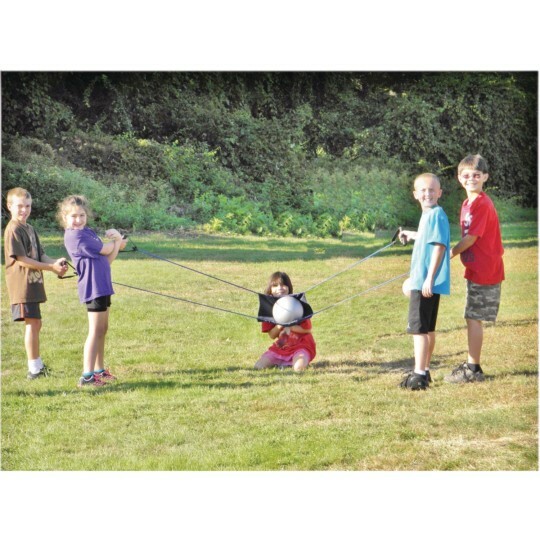 Teams of 3 to 5 players work together to launch balls or water balloons. See which team can hit the target or launch the farthest! Launch multiple water balloons simultaneously to rain down on the target. 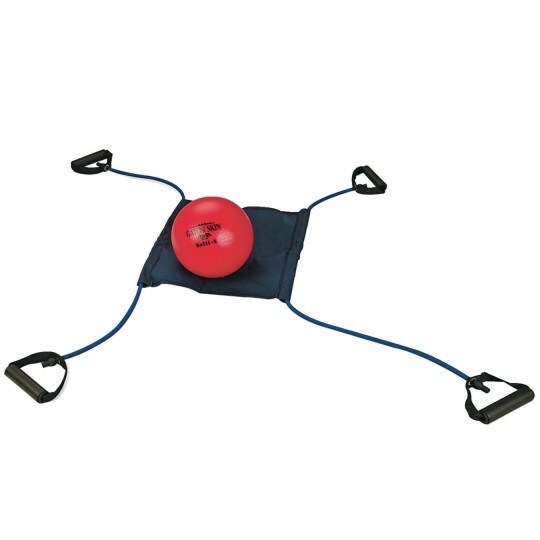 Large, 15" square, heavy-duty fabric ball holders attach to 2 latex rubber tubes, each with their own handles on either end. Note: Use only soft balls like Gator Skin® balls and do not aim directly at a person. Recommended for ages 8 and over, adult supervision required. We used these for a Live Angry Birds activity with teenagers. We bought 6 of them and they all seemed to hold up well and did the job well. I will update my review if I notice rapid wearing over time but as of right now I'm pleased with them. Used in our corporate team building event - our staff loved working together to launch balloons at management! I wanted to love these...purchased 4 last year. Just pulled them from the box this week and used once outside with my 7th-8th graders...two broke handle detached from the rubber tubing Kids were not misusing them. Tried to reattach the handle myself...virtually impossible. The other 2 worked great however. Not for use with younger students...and requires close supervision.